Over the past few weeks, I have been streamlining my equipment. Since I started shooting large format, I’ve carried all the essential equipment (meter, grad filters, stop watch, cable release, notes, etc) in a Lowepro Street & Field setup. The deluxe waistbelt + utility pouches allowed easy access while shooting. 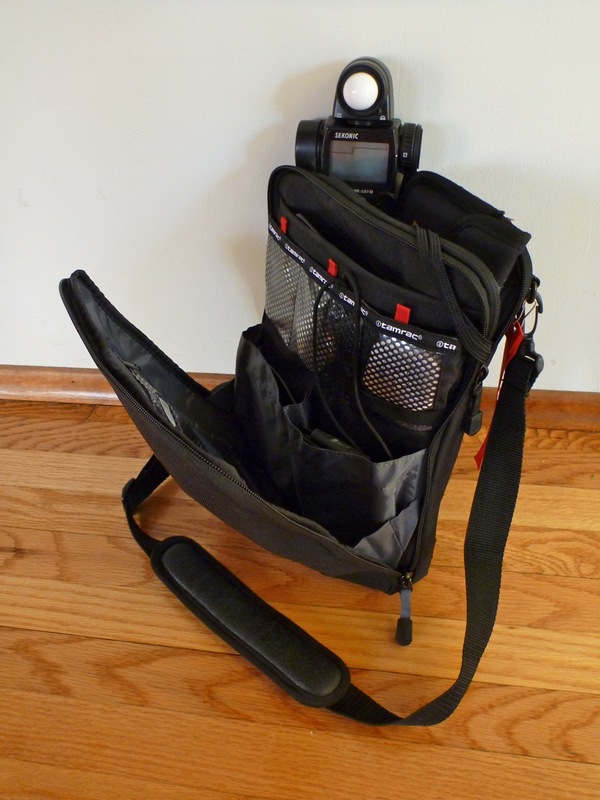 Though very convenient while shooting, this setup was difficult to store in my Gregory or Osprey backpacks. Enter the Tamrac Zuma 2 iPad case — that’s right, an iPad case. 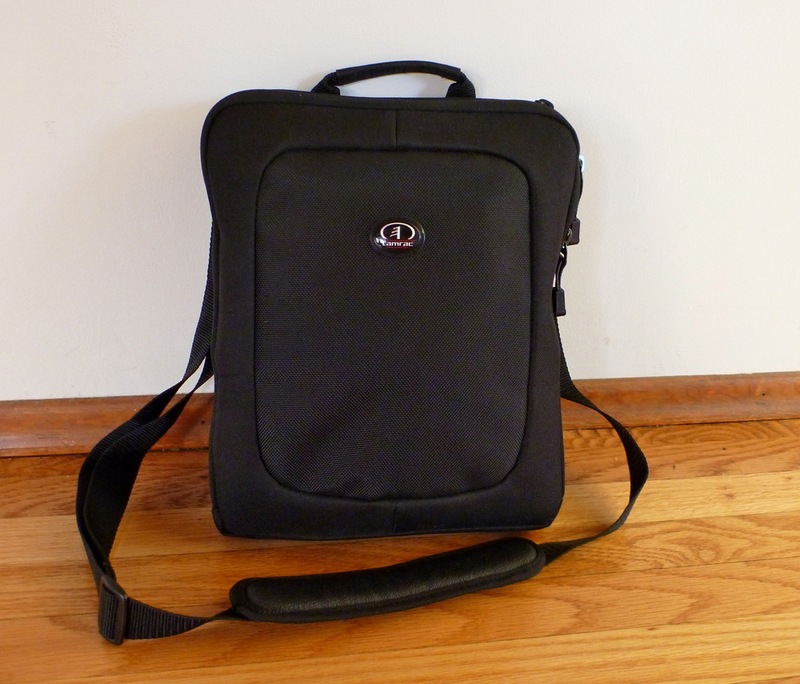 This thin, streamlined case has two primary compartments: one for an Apple iPad, and the other for various supplies including a Canon G12, memory cards, wireless keyboard, etc. The iPad compartment is — of course — padded, and is a great place to put my Sekonic light meter, and all 4 of my graduated neutral density filters. 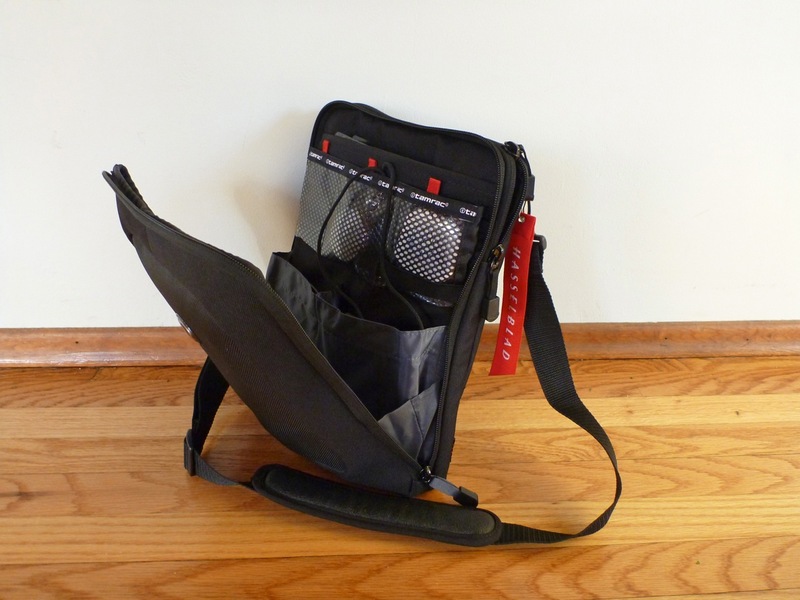 The second compartment is perfect for my stopwatch, tape measure, notebook, cable releases, and some other filters. While shooting, I can either sling this case across my body like a messenger bag, or hang it from the hook on my tripod. Either way, I have easy access to all my shooting essentials. Because of the low profile shape of this bag, I can easily stuff it into my Gregory Whitney 95, or my smaller Osprey Atmos 65. Tamrac Zuma 2: Interior Compartment great for organization. This is a great place for my cable releases, notepad, stopwatch, tape measure, etc. Padded rear compartment for grad filters, meter, etc. This entry was posted on October 10, 2011 at 7:48 am and is filed under Uncategorized. You can follow any responses to this entry through the RSS 2.0 feed. You can leave a response, or trackback from your own site. I sit anxiously waiting for another post. Ahh, I am greatly looking forward to it, I need a good read.